This looks droolworthy! I wonder if that olive salad would pair well with my favourite salmon.. 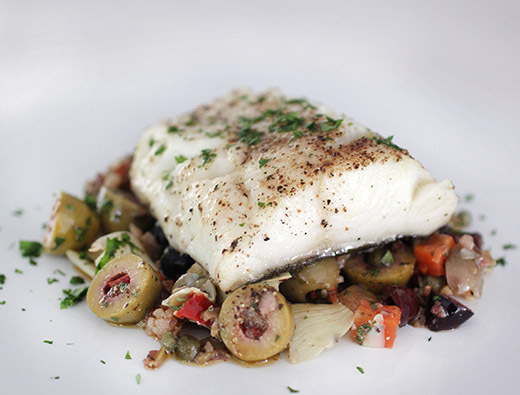 The olive salad is the perfect way to give some oomph to a piece of mild fish! And it also makes a gorgeous presentation. I love fish. Thank you for recipe. Sometimes when Im alone I eat a sandwich but with lot of lettuce, tomato or avocado, others I make a big salad and other of my fav is soup ! Love soup with veggies like zucchini, pumpkin or carrots. 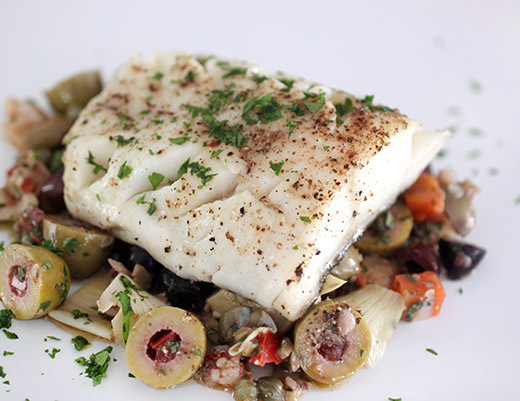 I love fish and this looks delicious !! 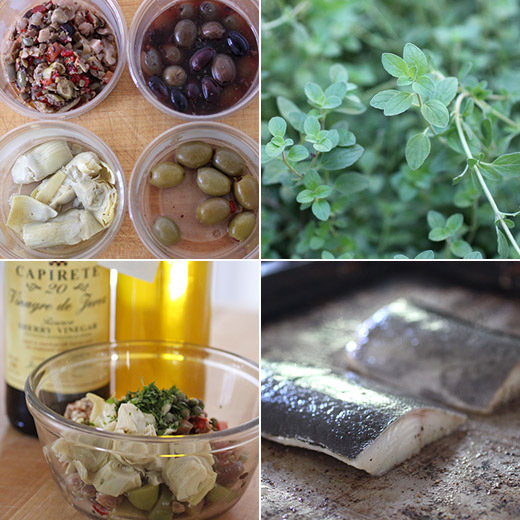 I am loving the idea of the mild fish with the salty ingredients from muffalleta...looks delicious Lisa! when i'm just cooking for myself, i take the lazy way out. this looks like something i'd see on a $30 restaurant plate!